"These are different wheel combinations for the Tamiya twin gear box. All tire types press-fit directly onto the Tamiya axel without the need for glue or screws. Simple assembly is required for all types. Mix and match to create some very peculiar looking robots. 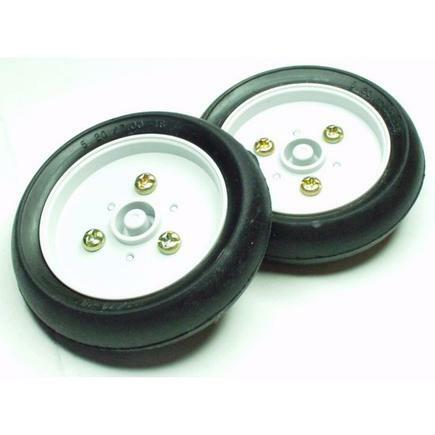 Skinny Tires: 2.3" Diameter Comes in a pair "